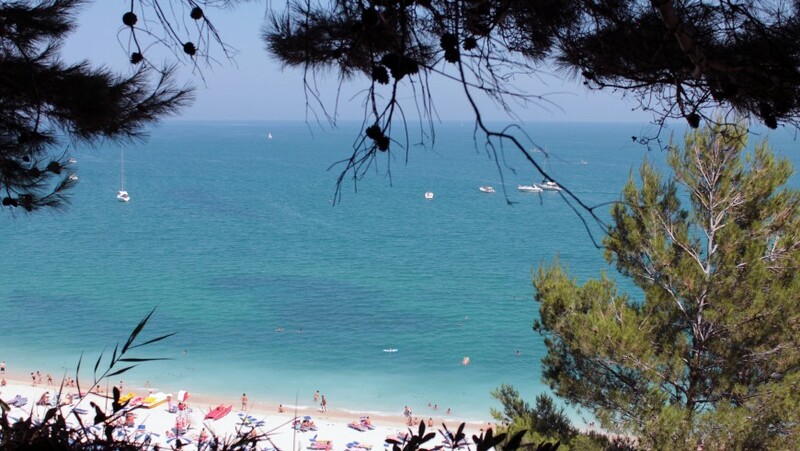 A destination that’s still little known, an alternative to the more expensive destinations in the south of Italy: Marche region offers long sandy coasts and steep cliffs that plunge into the blue waters, a few steps from the historic centers and the rolling hills as a backdrop. 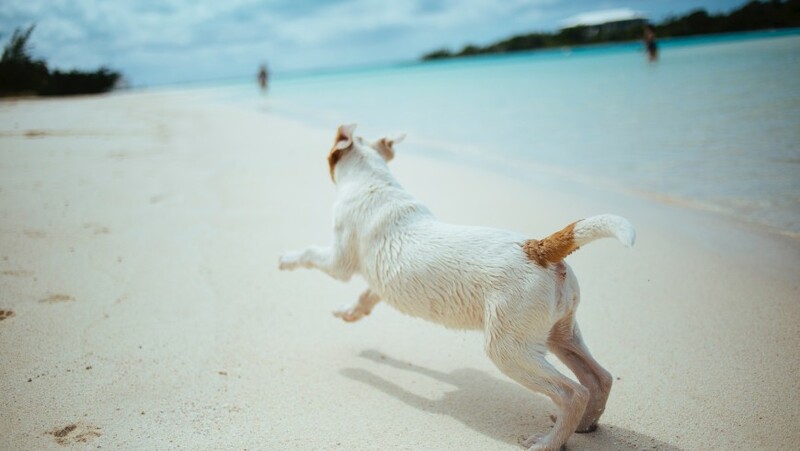 And the region also represents the perfect destination for people traveling with their four-legged friend, there are more and more dog-friendly beaches. Let’s find out where to spend the summer together with our pets! 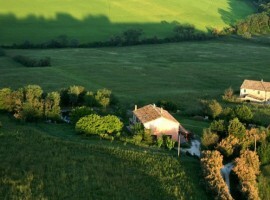 Marche is a small region, but it offers all kinds of landscapes. 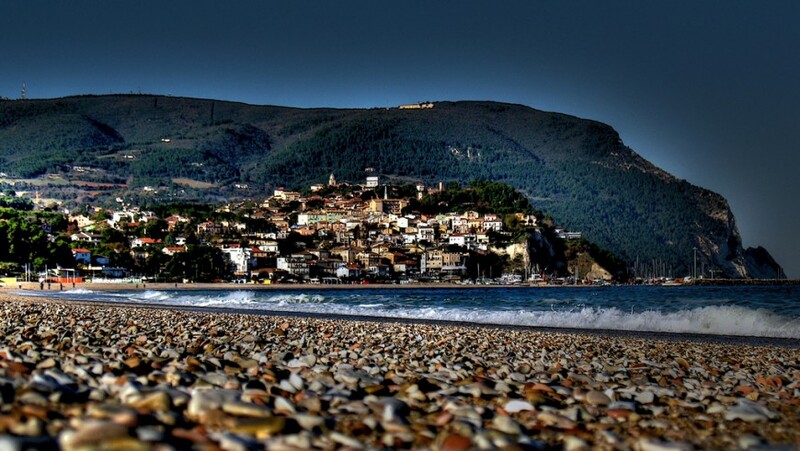 In one day you can spend some time at the beach and then climb a mountain, passing through the hills and its beautiful villages. It is also called Italy in miniature and it is definitely an area worth to explore. This summer, let’s leave to discover its 180 kilometers of coast and 26 locations bordering the Adriatic Sea, with the real and easy possibility to spend our holiday with our dog friend. 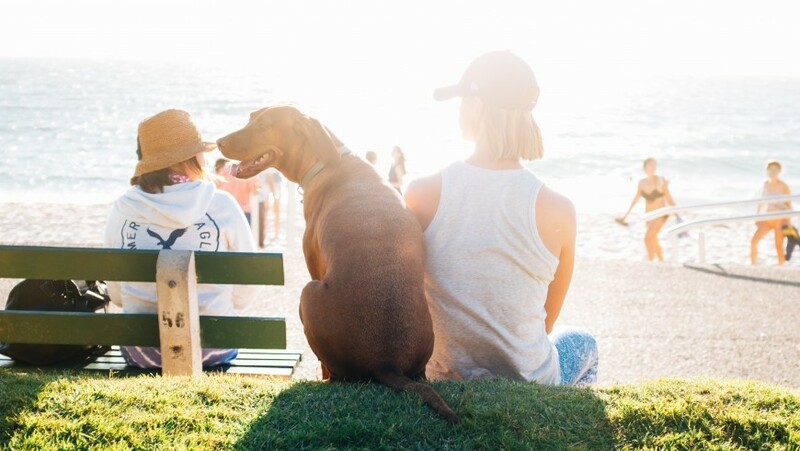 Those traveling with their four-legged friend has many possibilities: the Marches offers numerous dog-friendly beaches. 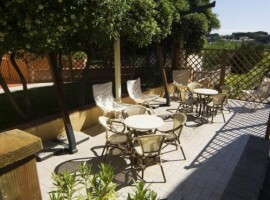 In Ancona, in the sandy beach of Palombina, north of the harbor, dogs are allowed at the Tropical #20 beach resort. 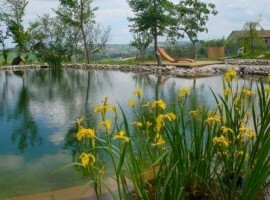 Here the animals can also swim and the property is one of the best equipped in the area. 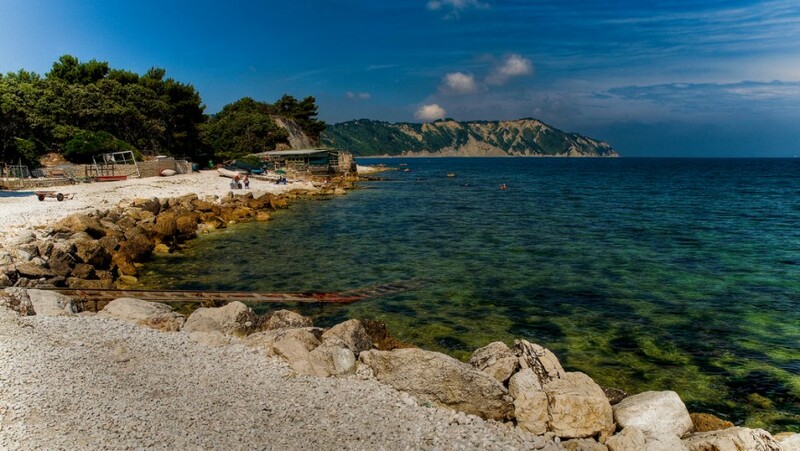 In the town of Civitanova Marche where the waters get deeper and the sand is mixed with gravel, dogs they are allowed in various beach resorts such as Marebello and Lido Cristallo. Even in the beautiful town of Fano, also famous for its carnival, there’s a free dog-friendly space in the Arzilla area, where the dog can swim. Finally Numana, one of the jewels of this region, offers a dog-friendly beach, adjacent to the beach resort n°47, but here animals can not enter the water. Now that we know where to take our dogs to enjoy with it a day at sea, we just have to book a pet-friendly hotel. 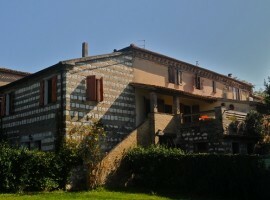 In Numana we can stay in a typical farmhouse, restored according to sustainability criteria, surrounded by olive trees and a few kilometers from the sea. 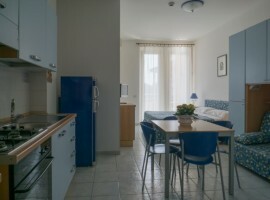 Here you can stay in comfortable apartments equipped with every comfort. 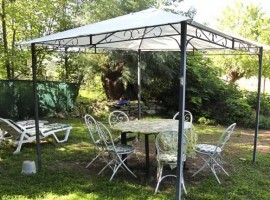 Additional accommodation amenities include an fenced area for dogs and dog-sitting service. 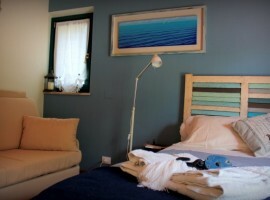 Also in Numana, but a short walk from the historic center and just 250 meters from the beach, the Hotel Residence Il Conero 2 is pet-friendly (there is a surcharge) and offers free bike rental and a small wellness center. 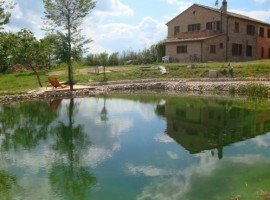 The B&B Le Tamerici, located on the hills of Marche, is pet friendly and offers a family atmosphere, a rich breakfast with organic ingredients and a beautiful swimming bio-lake. 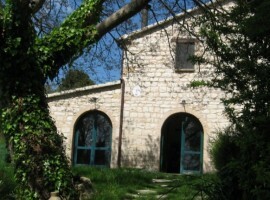 Finally, around 3 km from Sirolo, in the heart of the Conero National Park, you can stay with your 4-legged friend in the charming B&B Campo del Mare that will surprise you with the exceptional organic breakfast. 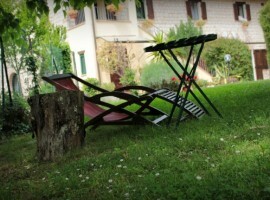 This entry was posted in weekend and tagged Adriatic sea, beach, dog-friendly, ecohotels, Marche, sea. Bookmark the permalink.